Simple and effective conference room booking for all. 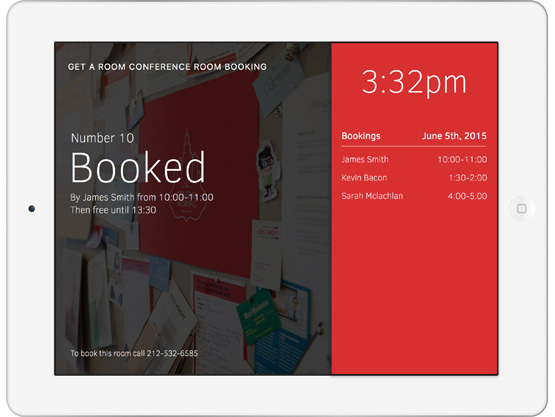 Get a Room is an intuitive, feature rich and customizable conference room booking platform for any sized organization. Unlike common solutions like Google Calendar, with Get a Room, it's impossible to double book a room. Book rooms with 100% confidence. Use Get a Room on multiple floors, with multiple groups in multiple buildings. Permissions allow you to control who can book what rooms. 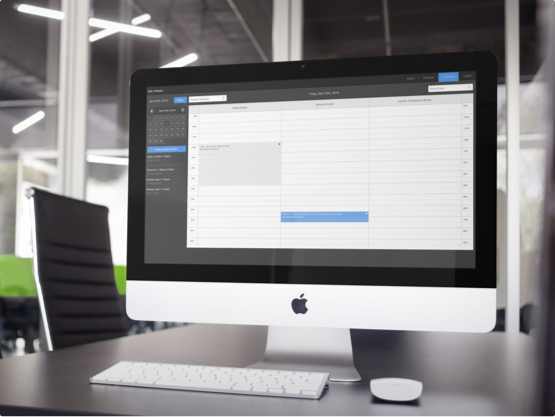 With a full range of additional features that build on the core of the Get a Room scheduler like: Catering, Services, Signage and External Bookings. 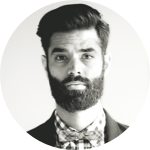 Get a Room is a central room booking platform that allows everyone in your office space to book conference rooms with ease. Never double book a room or hear “do you have this room” again. Permissions give you the power to control who can see and book which rooms. Our Reporting features allow you to gain insights into room activity. Designed around rooms, Get a Room is easy to use and requires little to no training. Our meeting room displays and digital signage is compatible with iPad and Android (4.0.0+) tablets, so you're free to choose what hardware to use. Digital signage is a great way to display room availability and adds a great experience to the office environment. Monthly billing, cancel anytime - no strings or hidden costs. Amazing customer service included from our friendly and knowledgeable team based in London and The USA. Got a question? Please see Frequently Asked Questions first. 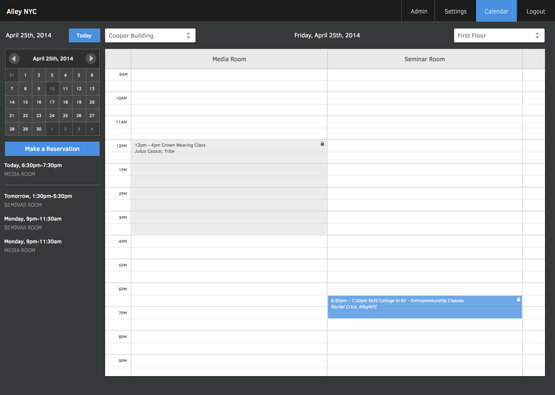 Get a Room Conference Room Booking & Scheduling. © Copyright 2013 – 2019 Get a Room.